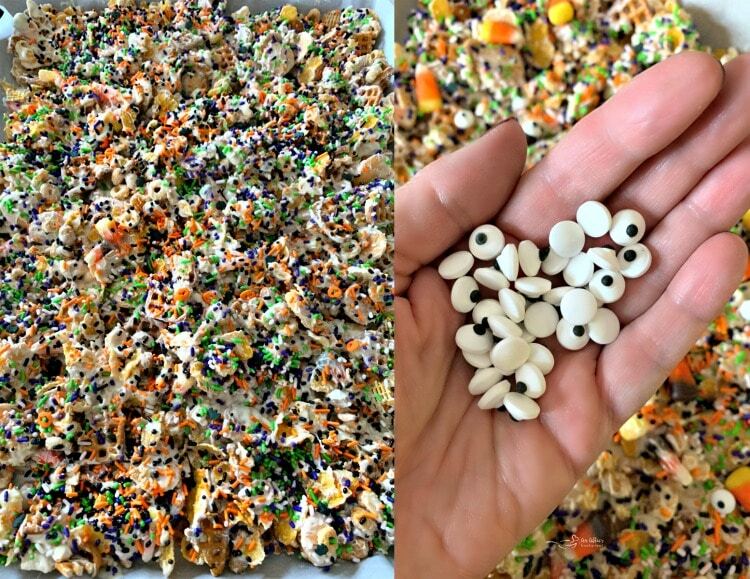 Sweet & Salty Halloween White Trash Snack mix, made with cereal, peanuts, pretzels, candy corn and candy eyes. Covered in vanilla almond bark. 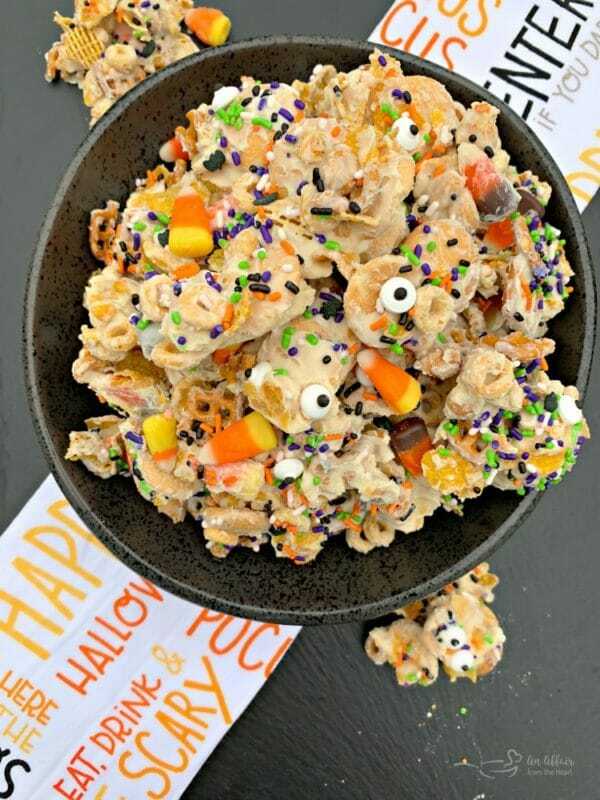 This halloween white trash snack mix is fun to make because it’s so customizable. If you are like me, and end up with bags of chips, cookies, cereal, pretzels and such that are open and there is a little of this and a little of that left over, this is perfect. 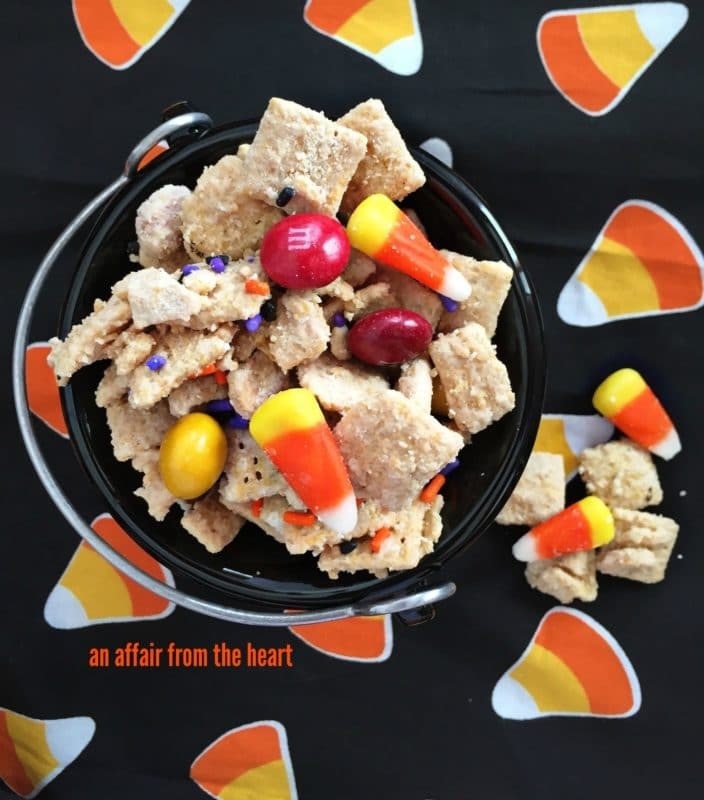 I make it year round, and have even blogged a Valentine version of it, but it was time to make some for Halloween and share it with you all. My pantry has gotten a little out of control lately. 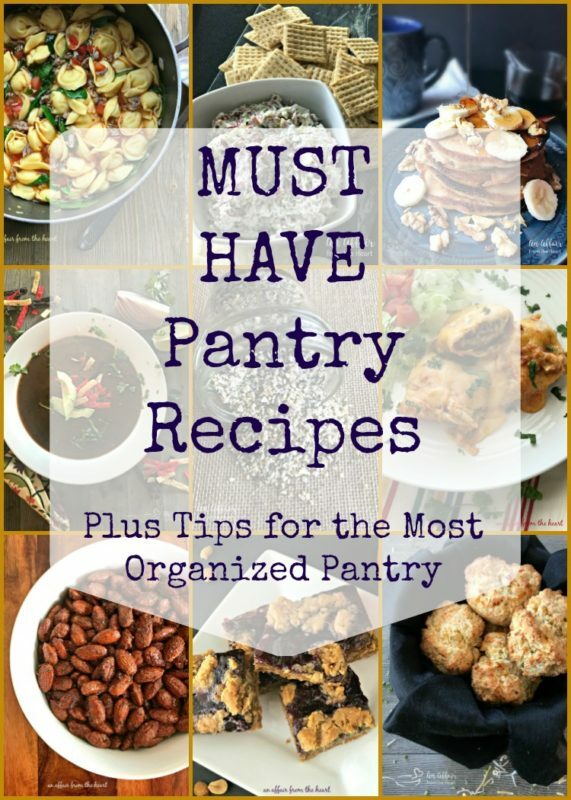 I’m not sure you read my post I did back in June, when I had an amazing professional organizer named Melanie from Organized Kind of Life do a complete over haul on my pantry? Well, I’m not ashamed to say, I threatened my kids within an inch of their lives with keeping it clean. They did really good for most of the summer. Then I’m not sure what happened, but all of the sudden, they all began falling into old habits again. Leaving empty containers and putting stuff away in the wrong places because it’s just easier. 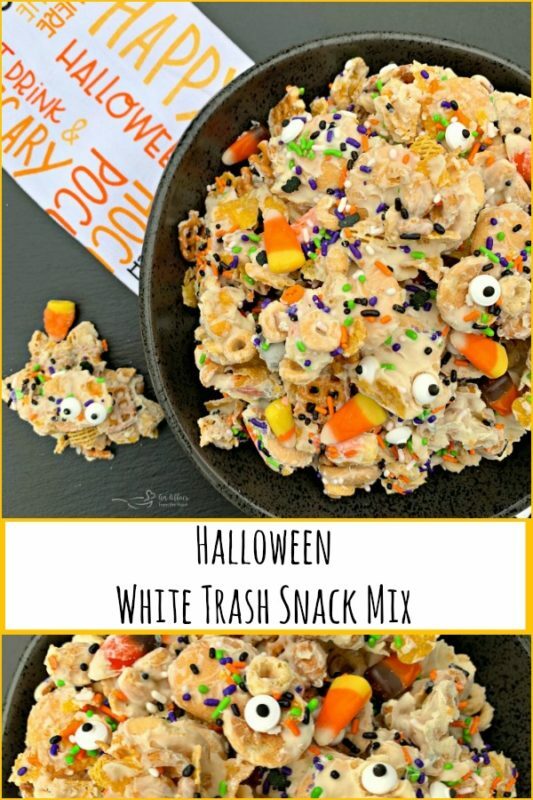 What Do I need to make this Halloween White Trash Snack Mix? Cover a large cookie sheet with parchment paper and start layering your cereals, chips, pretzels, nuts. Typically I use with Fritos or Bugles for the corn chip part, or even a combination of both. But this time, I was fresh out of either. I did, however have a box of cornflakes, that I keep on hand for when I make my mom’s potato casserole, my “Fried” Ice Cream Pie, or my oven baked chicken sandwiches. They were a great addition to this mix! 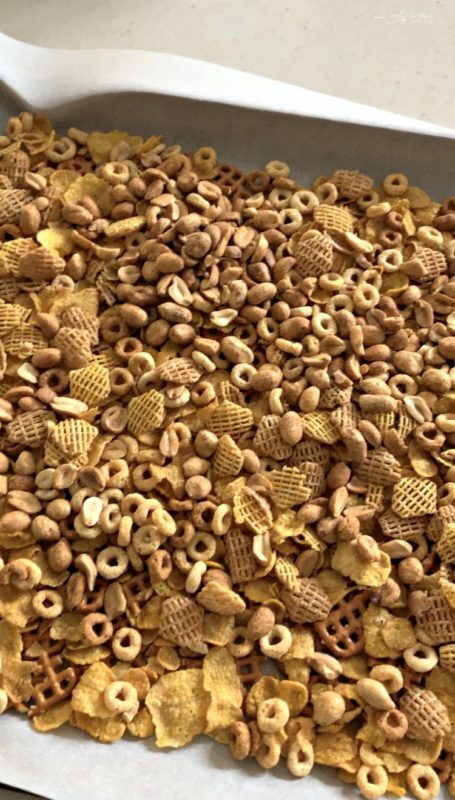 Then I used multigrain Cheerios, Crispix, and waffle pretzels that I broke into smaller pieces. I added some dry roasted and salted peanuts, and candy corn next. Melt your vanilla almond bark and coat the mixture in it. When it’s still wet, add the sprinkles. Then I added the candy eyeballs. Because when Betty Crocker makes candy eyeballs, and give you that option? You use it, people. Let the whole thing set up. Then break it into clusters. 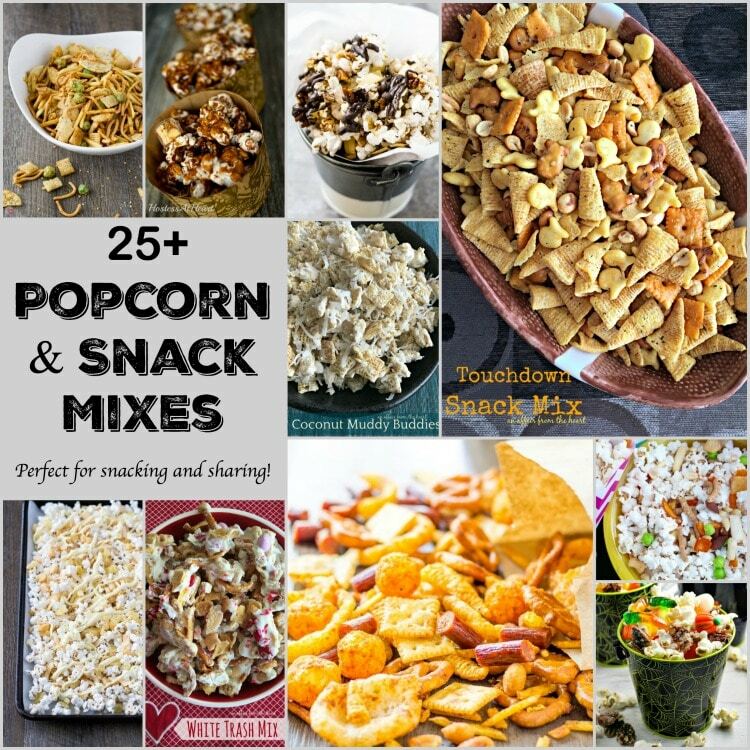 This snack mix is great in little cellophane treat bags for handing out to classmates or co-workers. It’s completely addicting, and like I mentioned, you can use whatever you have on hand. 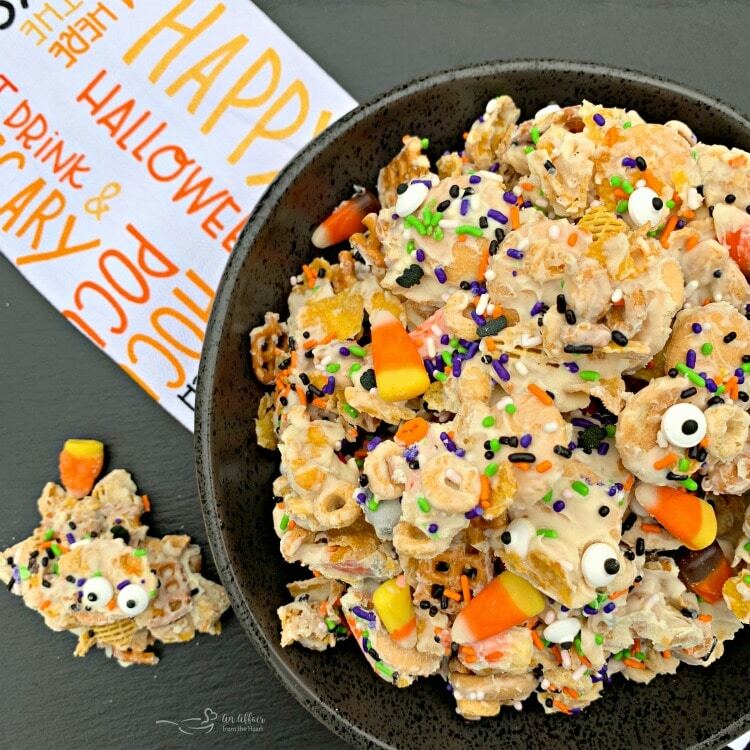 Here is my Peanut Butter Puppy Chow dressed up for Halloween, too! 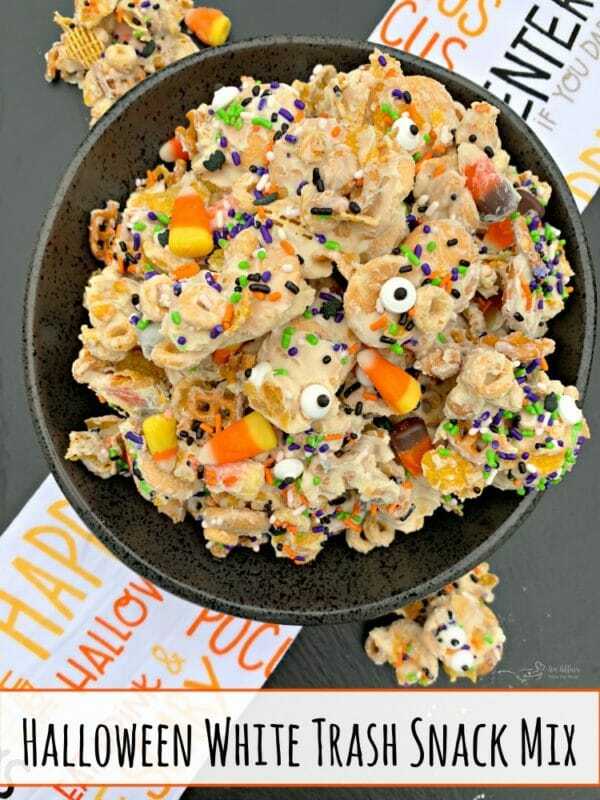 Use up those odds and ends in your pantry and make this fantastic Halloween White Trash Snack Mix today! Spread pretzels, cornflakes, cereals, Nilla wafers and peanuts on a parchment paper lined cookie sheet. 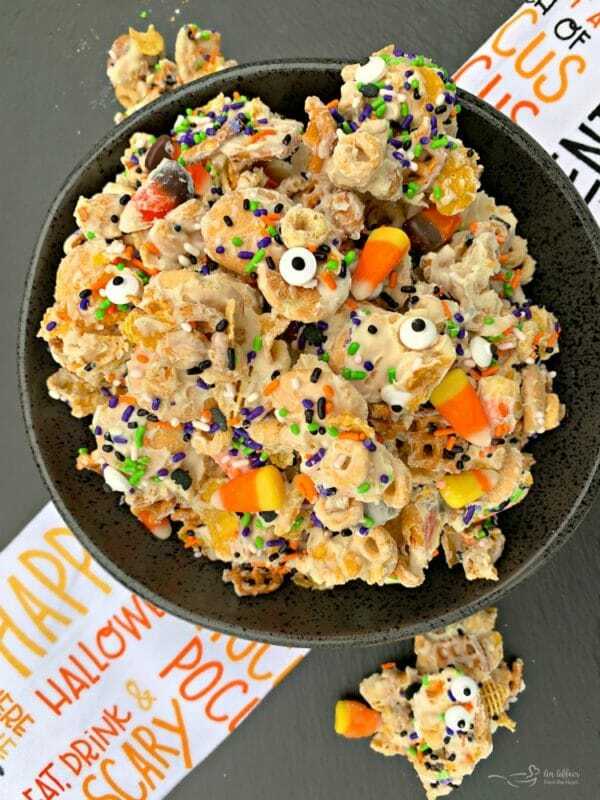 Top with candy corn. Melt almond bark according to package instructions, Drizzle over the snack mix. Move around to coat. Sprinkle with sprinkles. Add candy eyes. Place somewhere cool until almond bark is set. Break apart. Store in airtight container.